​Our church has a long history of sending many students up to Lake Beauty Bible Camp (LBBC) in Long Prairie, MN every summer. LBBC is part of the Evangelical Covenant Church and is a special place in many of our student's faith journey. For more information on Lake Beauty Bible Camp, visit www.lbbc.com. 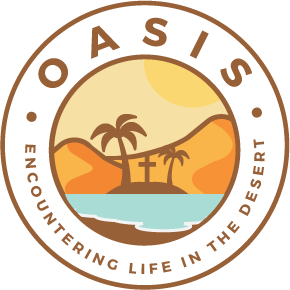 Our theme this year is Oasis: Encountering Life in the Desert! Our theme verse is Psalm 63:1: "God, you are my God. I seek you with all my heart. With all my strength I thirst for you in this dry desert where there isn't any water. "Thanks to the generous support of our church family, we will again be able to offer 50% discount off the early bird registration fee! Please contact one of the committee members to receive the "Friends and Family Code" before you register! Should you need more financial support, please don't hesitate to ask any of the committee members below for more assistance. We do our best to make sure that camp is available to anyone that desires to go! Transportation costs are INCLUDED in our registration code. The discount has been adjusted to include a $20 transportation payment from each camper to cover costs to/from camp. Drivers will be reimbursed from our camp fund. This way parents no longer have to scramble for extra cash to pay drivers. Register by April 8th to receive the LBBC Early Bird discount! When registering for summer camp, we send our students to the "Pepin District" weeks. See below for these dates!